Patient intercepts are a useful tool to understand the real life patient experience. The intercept is a qualitative research method – a 10-15 minute interview in the natural setting of a user. Intercepts offer a unique opportunity to learn about real patient needs, attitudes, behaviors and perspectives in the health care environment. As the first topic of our 2-part blog series, “All About Patient Intercepts”, this article will cover the technique of using patient intercepts and why they’re important. In next month’s blog, we’ll outline how we put patient intercepts into practice for one of our clients, and why you should consider the patient waiting room as a natural and prime location to conduct intercepts. At Red Privet, we sometimes refer to patient intercepts as the “secret weapon” in research. Why? Because there are numerous benefits to implementing this technique as part of a research mix. First, intercepts are low in cost. Since you’re capturing patients in a natural environment (waiting room, hospital café, etc. ), you don’t have to recruit or schedule participants. The nature of this qualitative interview requires minimal preparation and a limited strain on resources. Feedback is fast but more importantly, it’s contextual. Context produces honest, candid and valuable feedback. Intercepts offer value by engaging patients in the midst of an actual healthcare experience – before or after a visit where the likelihood that they’ve been or will be in context is powerful. Before digging deeper into how to apply intercepts in a healthcare setting (in next month’s blog), it’s essential to understand the fundamental technique of patient intercepts, starting with the 3 core components: Conversation, context and culture. Below, we also outline goals to consider when employing patient intercepts and tips to get the most out of the patient interview. 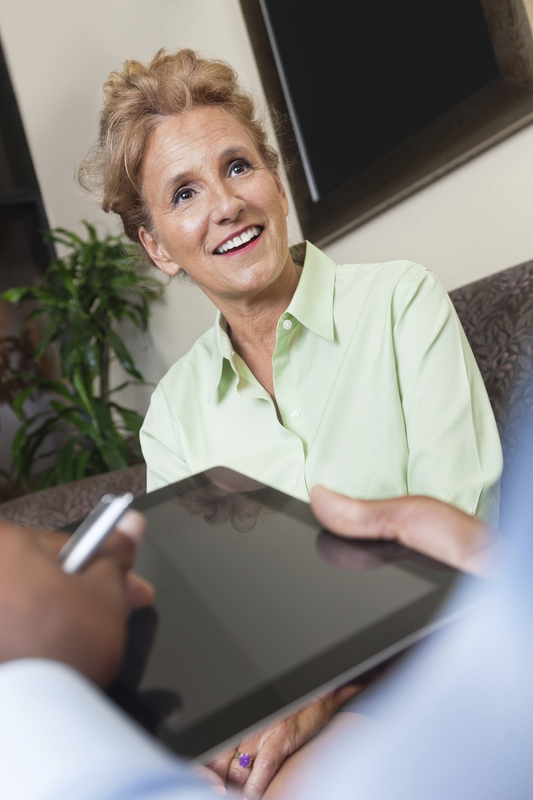 Conversation: Speak with patients in real-world settings. Learn about patient attitudes and perspectives through personal stories. One-on-one conversation allows empathetic understanding of what a patient feels. Be prepared for patients sharing deeply emotional experiences. Context: What’s going on around you? Observe the environment and relationships. Culture: Take an inventory of things that make the experience different for patients. Pay attention to how groups or segments may interpret language and information differently. Build a holistic view of the problem space. Intercepts may expose underlying motivators and causes in the context of contributing factors. Use the 3 C’s to understand the world of the patient. Add greater business value. As artifacts of the 3 C’s, you may uncover unrealized peripheral or secondary problems (gaps in service and unmet patient needs) that may be outside of project scope, but can be an opportunity to inform future initiatives and projects. Practice the art of storytelling. Build a picture with the 3 C’s. Use anecdotal and authentic stories to effectively communicate gained insight. Cite patient quotes in your client presentation to powerfully illustrate your findings. Keep an open mind and check your biases. You are in listening and learning mode. Put all your senses to work. Listen, hear, smell and feel. Practice interpreting subtle signs. Connect the dots. Unexpected things will happen. Stay calm, think on your feet and find workarounds. Stay tuned for next month’s blog where we’ll talk about how we’ve put patient intercepts into practice – and why you shouldn’t overlook the waiting room as an opportune location for intercepts.